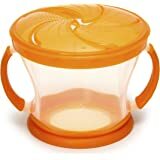 Munchkin Miracle Sippy Cup is here to steal your heart when it comes to sippy cups. 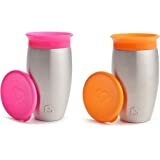 This premium double walled, vacuum sealed stainless steel sippy cup keeps liquids cool for fresh and cold for 15 hours. Light-weight stainless steel material is extremely durable and double wall design won't sweat or get hands cold. 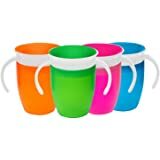 Patented 360 degree rim eliminates messes and supports kids' dental health all at once because drinking from anywhere around the rim, like a regular cup, helps support normal muscle development in a child's mouth. 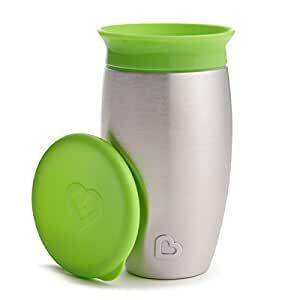 Also includes matching cup lid to keep drinking edge clean on-the-go. 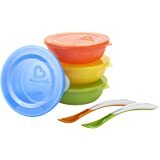 With no extra spouts, straws or pieces, this cup is easy to use and even easier to clean. Suitable for babies ages 12 months and up. 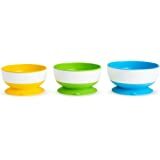 It has a capacity of 296 ml for water, milk or juice.